I have a wonderful staff over at KarateForums.com. My team is comprised of 9 people, including 5 moderators. Those 5 moderators have been with me for a combined 35 years, 3 months, 3 weeks and 3 days (these are real numbers and those 3s are purely coincidental). This group of 9 is the strongest team that I have ever had the fortune of working with. They are excellent people with strong character. Of the 5 moderators, two work in law enforcement. Brian Walker, who has been on staff since July 31, 2006, is a patrol deputy in Kansas. Alex Embry joined our team on December 2, 2008. 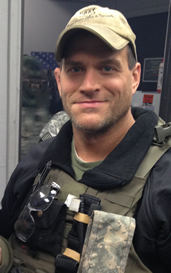 He is a sergeant in Illinois and a member of his department’s SWAT team. As long as they have been with me at KarateForums.com, they have been working in law enforcement even longer. I didn’t realize that was their line of work when I invited them to join our team. They were judged based upon what they brought to our community. They were both wonderful members that set a great example for the community to follow. The staff members at the time welcomed them based upon what they had contributed and how they did so. When I did find out that they both worked in law enforcement, I can’t say I wasn’t intrigued by the coincidence. A couple of years ago, I thought it would be fun for us all to sit down and have a conversation about their day job and how it relates to being a moderator. I didn’t put that plan into action until more recently. Our conversation was so long (over 7,500 words), that I am going to break it down into a three part series. In part one, we discuss their backgrounds, the similarities between law enforcement and moderation, how to be more than just an enforcer and the proper use of discretion – as an officer and as a moderator. Patrick O’Keefe: What is your background in law enforcement? Brian Walker: My background has been through the Ellis County Sheriff’s Office in Hays, Kansas. My employment began in 2006, as a jailer. I worked in the jail for 3 years, and in 2009, I was promoted to a deputy position. I went to attend the Kansas Law Enforcement Training Center, graduated in 2010 and have been working as a deputy since that time. I also conduct defensive tactics training for our department, along with some of the other departments in our county. 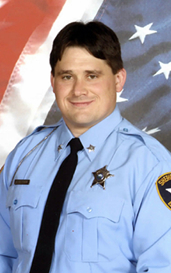 Alex Embry: I started off working for the McHenry County Sheriff’s Department in early 2004. I was promoted to sergeant in 2008 and spent nearly all of my career on the road doing midnights until taking over the Firearms Training Unit and Control Tactics program full time in 2012, having previously been an instructor in both cadres. I serve on the department’s SWAT team and have been a member of that unit in several capacities since 2007 (minus a short hiatus after being promoted). Patrick: Prior to joining our team at KarateForums.com, had you been a moderator at any other online communities? In fact, I might have been a member at a couple, but I really participated very little prior to joining here. Moderating never occurred to me. Brian: No. This forum was the first online community I had ever been a part of. Patrick: What do you see as the parallels between your career and what you do as a moderator? Brian: In law enforcement, we have the laws laid out for us in statutes or what are referred to as city ordinances (since I don’t work for a municipality, we only enforce statutes, court orders or county resolutions). Statutes are laid out and defined, much like the guidelines at KarateForums.com. When I log onto KarateForums.com, I start reading through the various threads that have been posted in, basically patrolling and looking for any violations that need to be dealt with, much like getting in my patrol vehicle and going to work, I guess. But it’s not just seeking out violations and dealing with them. It’s also the public service and relations aspect of the job, too. When I go to work, I’m not just looking to make arrests or write tickets. I also look to interact with the people in the communities I patrol. I talk with people, ask questions and just interact and get a feel for what’s going on in and around the communities they live in. I try to do the same thing at KarateForums.com; I do patrol around and try to remove any posts that violate the user guidelines, but I also want to make sure I’m out in the community, conversing with as many people as I can and setting an example for the community, as well. Alex: I think Brian answered this one really well! To add, I’ll also point out that it’s a vastly misunderstood role by most individuals on the other side of the staff/moderator line. For instance, we see people asking why guidelines are in place or thinking that this or that offense is minor and will be overlooked. The fact is, at the moderator level we do not make the rules, just as on the job, Brian and I don’t make the rules. We merely enforce them. It’s an important job on both counts to be sure but one where we just cannot summarily change things for the benefit of a member or citizen. Occasionally (rarely here at KarateForums.com, luckily), we see people get angry over this fact. In addition, the decision making that goes on is very similar. On some cases, it is very clear cut based on the post (or incident when it comes to policing) what the course of action should be. These are easy. Then there are others that really give you pause. Recently, the latest run of Go-Kan-Ryu (GKR) threads has been a good example. While no violations have outright been made, the intent certainly seems to be there (or vice versa). So then what do you do? It starts to become a judgment call on when the line gets reached. This kind of follows the particular violation you’re talking about. As an example, vulgarity is usually straight forward and easy to spell out in the guidelines. Therefore, it’s easy to enforce. This is analogous to say a battery at work where there is physical evidence of a crime. A second example (relevant to the GKR thread) would be statements that are inflammatory in nature. This can be easy, but because it’s harder to provide every single example of it, an inflammatory comment can be hard to define. It is still an important guideline but more challenging to accurately enforce across the board every time in the exact same manner. This is much like the law called “disorderly conduct” here in Illinois. Essentially, this is any action that “alarms and disturbed” a citizen that creates a “breach of the public peace.” What does that mean? About anything. Hence it’s an important law that is harder to enforce and relays more on individual judgment calls to define. For me, there are lots of similarities in that regard. Brian: Very well said, Alex. Patrick: Brian mentioned the importance of not just being seen as an enforcer, but as a member of the community. This is something I always think about, as it applies to me. No matter what, people will look at me in a different manner than they will a fellow member. Perhaps they will be more careful around me, perhaps they will regard me with a level of distrust. My fear is that if I don’t participate in the community that I manage, I am helping members to see me as a soulless robot, who sits in a room and pushes buttons, deciding the fate of each individual post. Even though I’m not a martial artist, I still enjoy participating in various conversations and as another contributor – not just as the person managing the community – as much as I can. My hope is that this makes me a little more human to our members. There’s a danger, I’m sure, for a law enforcement officer (LEO) to boil down every interaction with a citizen to deciding whether or not a violation of the law has occurred. Who wants to have a conversation with someone who will be passing everything they say and do through an internal filter, determining whether or not it’s lawful? But if that happens, I have to believe you are simply less happy, both as a person and in your job. How do you keep yourself from falling into that trap and not simply being an enforcer? Alex: On the job, it’s about actually interacting with people like you’re both humans – not just a cop and a citizen. That means that on the road, I’m talking to people without the cop persona all the time (there’s a time and place). Here, it’s exactly what you’re saying: staying in touch with the community on KarateForums.com by jumping on threads, staying active and participating. Not just moderating. Some days this is easier than others with real life interfering (just as in police work), but it’s important to try. A paragraph or two here or there goes a long way, I think, in staying connected so people see you as a member of the community – not only a moderator. Brian: One of the mottos that have come out of our training academy states that “integrity is the basis for community trust.” I think this is so very true, in many things in life. Integrity is often times found as an underlying ethical code in many styles of martial arts. Along with integrity comes accountability. Part of building this integrity is in the everyday interactions that we have with the community (online or otherwise). When I get ready to go to work and put on the uniform, I realize that I wear the uniform for the community, not because of the community. With that in mind, I always try to present myself in a professional manner to everyone I come into contact with, and I try not to limit my contacts with the community in only an enforcement role. I try to speak with others I see at stores or walking around, just to say hi and ask them how their day is going. Many times, these kinds of interactions lead to a concerned citizen within the community relating some useful information that an officer can follow up on in some other cases. It also lets the community know that we are accessible and willing to talk with and listen to them. These approaches help me to not fall into the trap of merely being an enforcer. Patrick: Alex mentioned judgment calls. Prior to this conversation, when we were discussing potential topics, Alex brought up the idea of “officer discretion.” This is when an officer views a problem and has a choice of how to proceed, based on how they personally feel it is best solved. For example, do they push forward with an arrest? Or is there a better way to deal with it? According to Alex, this is often the hardest thing to teach new recruits: how and when they should use discretion. When they can solve a problem outside the box vs. when they must abide by the letter of the law. This can definitely be related to moderating forums, where a moderator reads a post and tries to line it up with the guidelines. I wouldn’t say that we ignore violations, but as Alex said, there are certain guidelines that are based on interpretation more than others. I also view myself as a sort of quality assurance on those matters to maintain a level of consistency. My hope is that we maintain consistent moderation for our members, but that also you as moderators learn from the lines that I try to maintain and so all of our decisions are more consistent moving forward. What are your thoughts on officer discretion in your job and then how it applies here? Brian: Learning to use discretion as a forum moderator develops in kind of the same way it does as an officer; over time and through experience. One important factor is being familiarized with the rules in the case of the forum, or the statutes, in the case of being an officer. There are just a few statutes in the state of Kansas that are worded as “shall arrest,” in which discretion is taken away from an officer. Then there are the statutes that you really don’t need the “shall arrest” wording in, for really serious stuff like murder or manslaughter. With that said, we have a lot of leeway when it comes to other statutes. These I relate to the kind of blatant violations we can find at KarateForums.com, like overt swearing violations and advertising. Those tend to be pretty easy to spot and remove. Discretion really comes into play when a comment in a post seems to be borderline inflammatory, but is stated in such a way that it adds value to a thread and the comment is backed by facts that validate the claim made. I think discretion tends to come into play at times like this. If the inflammatory comment stands alone, then its usually grounds for removal. When the comment may seem a bit harsh at first, but is backed by well-made points and/or facts that add to the argument, then perhaps it’s not meant to be inflammatory, but could be open to interpretation that way. In cases like this, I try to put myself in the position of everyone reading the comment, and not just myself, or the poster that was directly responded to (if there is one). I try to take the emotion out of it and really read what is actually being said and try to use discretion that way. Jeez, that was really wordy. I hope that makes sense. Alex: What you’re saying does make sense, Brian. 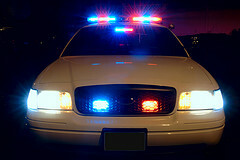 For my part, officer discretion is one of the most useful tools an officer has. Proper use of it can help establish rapport with individuals, generate goodwill with the public and allow for each individual officer to bring what makes them unique to solving problems. Unfortunately, it’s also the most easily abused. As Brian pointed out, some offenses are cut and dried. Others are not – based on the situation. It’s that grey area that can be a great advantage if manipulated well and a terrible problem if mishandled. That’s why it’s so hard to teach. There, in these grey areas, are no cut and dried answers. So new officers looking for a “by the book” method will get frustrated. But if it’s mismanaged, the stakes can be so high that it has to be taught. Veteran officers have kind of a developed sense about this. It’s generally newer people that will have problems with it. But not always. As an example, let’s say I pinch a guy for an active arrest warrant at a bar check. He’s going to jail. During my pat down, I find some minor drug paraphernalia (misdemeanor level stuff). Now, I can charge him with it to pad my stats or I can have him break it or toss it. I (as an officer) have to ask myself what am I going to get out of each? The guy’s already going to jail. What does making him mad by giving him another charge do for me? For him? Personal feelings on the politics of drug enforcement aside, what’s the right answer to maximize your job tonight and in the future? There’s not really a right answer. The extra pinch may be a deterrent. Or the break you’re giving him may mean he doesn’t fight you the next time you’re in this spot. Or you might get a tip from him on the down low later in a different matter. You’re playing the odds and making a discretionary call. The situation will always be a bit different. In most cases, guys I work with will let the above guy have a break and bank on two. However, if it’s the 18th time in the week they’ve dealt with him, they may elect to not overlook the small offense and send a message that he needs to move to a different beat. One where the officers won’t hassle him and arrest him for every infraction every time. This might remove a problem, in this situation, from the neighborhood. When we relate it to moderation, there are, just like Brian said, cut and dried things that we can’t do anything about. And shouldn’t. He cited some excellent examples. However, there are those things (and for me, the inflammatory rule is really the biggest grey area here, in my opinion) that aren’t as clear. Each moderator has to ask when they get to this grey area which choice is going to benefit the community (like a neighborhood on the beat) the most. What does allowing a potential infraction to remain gain vs. it’s removal? Does risking the possible infraction gain in the discussion? Does removing a close to the line post drive a member out? What is the history of each post’s authors? Do they have a history of repeat offense? The hard thing about these questions, for me, is that you just can’t read tone over the computer like you can face to face. That further complicates the job. That said, and you mentioned this Patrick, we have a great backstop in your involvement here. Even if we drop the ball (in either direction), you are active with your presence here and can fix it. I equate this to how chain of command should function on the job. A sergeant or lieutenant should be in touch enough with their people to be able to course-correct either on scene or shortly thereafter. You do that very well here, Patrick. As a last thought on the question, just like it’s hard to teach new cops how to effectively manage discretion, I think it’s a learning process here as well. As a new moderator, I was always struggling with the choice to remove or not. It probably made me take too many passes and let too many things go. Interestingly, on the job, I think the trend is the other way, I’m not sure why – maybe Brian has some thoughts? As you get deeper into the role, this becomes easier. You also get less concerned with making a mistake because you realize it’s part of the job and you’re trying your best. Brian: I think it has to do with what you mentioned earlier – that it can be really hard to interpret the tone of a written conversation. What also makes it difficult is that we all bring various biases and opinions to the forums here as experienced martial artists. Whereas in general conversation, we might make various jokes about things in the martial arts world, and we’re OK with them because we know what is in our minds at the time. But when it’s typed out on a forum where we try to respect and appreciate the various experiences of others, we don’t catch on to the slights as well. As our conversation continues in part two, we discuss the darker side of working in law enforcement and being a moderator. Abuse of power, corruption and how to avoid becoming jaded. Read part two.